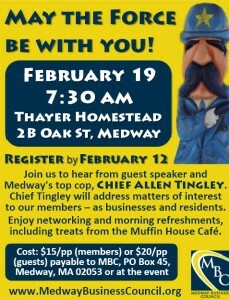 May the Force be with you February 19, 2015, 7:30 am, Thayer Homestead, 2B Oak St, Medway Join us to hear from guest speaker and Medway’s top cop, Chief Allen Tingley. 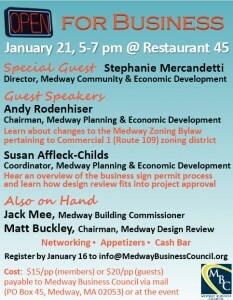 Chief Tingley will address matters of interest to our members – as businesses and residents. 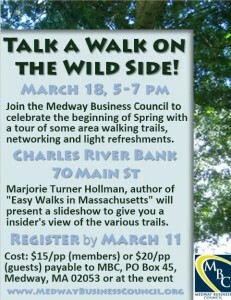 Enjoy networking and morning refreshments, including treats from the Muffin House Café. 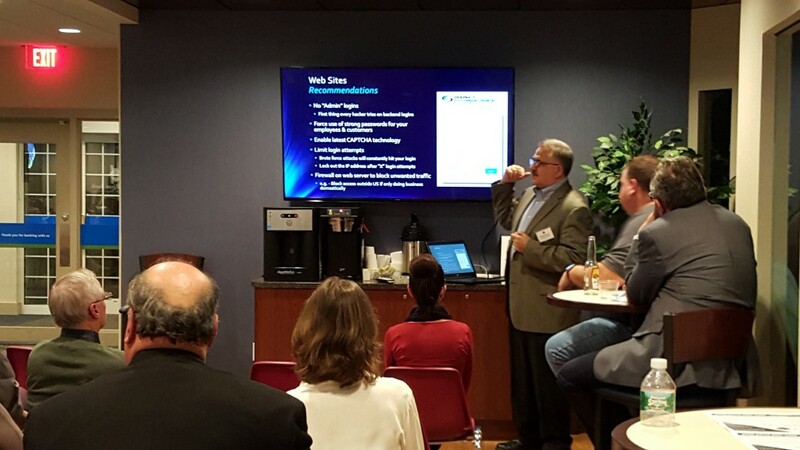 Free AM Speed Networking – October 24, 2018: Sign-up Today!